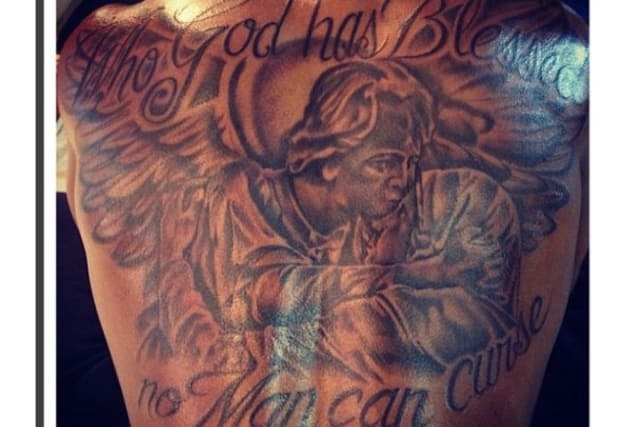 Can You Guess These NBA Playoff Finals Stars By Their Tattoos? Who has this guardian angel on his back? "Who God has Blessed, no Man can curse."